Goodreads: In the late summer of 1969, the nation was transfixed by a series of gruesome murders in the hills of Los Angeles. Newspapers and television programs detailed the brutal slayings of a beautiful actress--twenty six years old and eight months pregnant with her first child--as well as a hair stylist, an heiress, a businessman, and other victims. The City of Angels was plunged into a nightmare of fear and dread. In the weeks and months that followed, law enforcement faced intense pressure to solve crimes that seemed to have no connection. 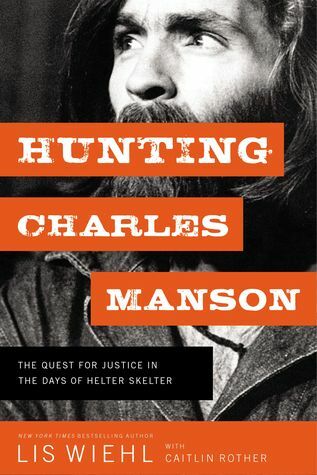 Kritters Thoughts: I have read a few books about Charles Manson both fiction and non fiction but this one sticks out as the most readable and enjoyable. Although it is hard to keep everyone straight because of their real names and Family names and the ones that come in and out of the Family, but this one felt the most full and encompassing of both life during their rise the murders and the post. I liked that this book showed a full picture of both Charles Manson and all of the people he took in. There was just as much background and information on Charles Manson as there was about the members of his "Family." There were so many things in this book that I wasn't aware of and the way it was presented it was easy to read and learn so much. I think I liked most the post murder/trial part of the book. I never knew how nutty Charles acted during his trial and then during his many parole hearings. It was so interesting to hear how they tried to create mistrials and how the judges avoided them. I liked that there was a large number of chapters that focused on this time of his life because I think that was the part I knew the littlest about. I have read Lis Wiehl's fiction and loved them, so I was pretty sure going into this one that I would enjoy her writing, but I liked it even more than I predicted.